Saracens recovered from a slow start to secure their first victory at their new Allianz Park home when they beat Cardiff Blues 19-11 in the Anglo Welsh LV Cup on Sunday. The match was historic as it was not only played at Saracens new Allianz Park in Barnet but also because it was played on a new synthetic pitch. through a series of kicks at goal. 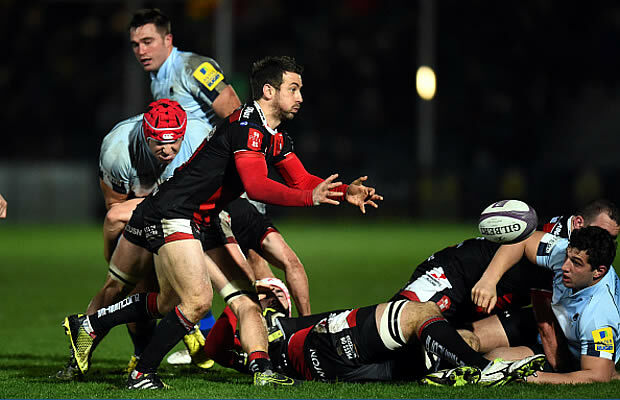 and a Ceri Sweeney penalty, with Mordt providing all the points for Saracens. that was dualy converted by Mordt to seal the deal. Replacements: 16 Rhys Williams, 17 Nathan Trevett, 18 Taufa’ao Filise, 19 Cory Hill, 20 Thomas Young, 21 Alex Walker, 22 Gareth Davies, 23 Tom Williams.